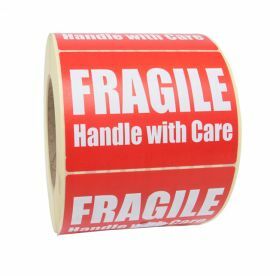 These pre-printed "fragile" adhesive labels stand out with their bright white text on a red background. 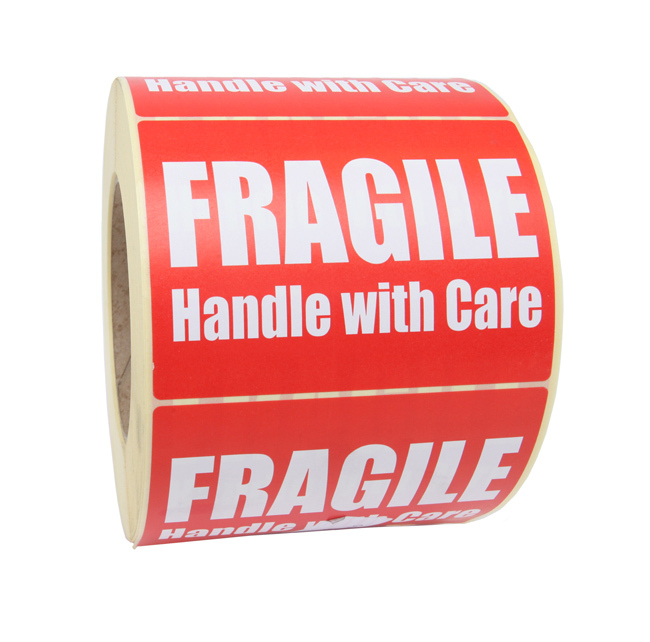 With the added text "Handle with Care", they are ideal for sticking on moving boxes or postal cartons that require extra care in transit or storage. Our large fragile adhesive labels are ideal for ensuring extra care for fragile parcels and boxes while in transit or storage. Easy to use self-adhesive labels ideal for removal boxes, can be used in a label dispenser. The printed stickers come on a roll of 1000 labels sized 101.6x74.6mm with a standout bright white text on a red background. 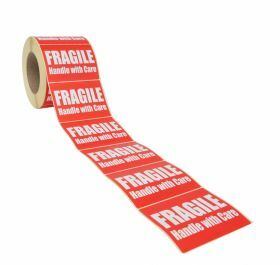 The message reads clearly on the labels Fragile Handle with Care, warning handlers to take special care.